From the series of books from Nathan Lowells Golden Age of the Solar Clipper, I give you the watchstanders wearable. 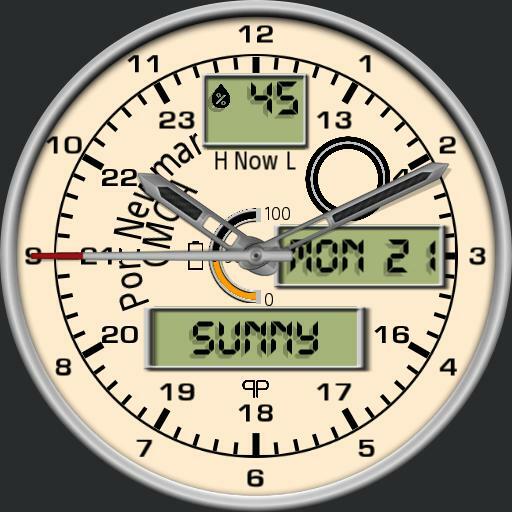 Tap the center to hide the hands, the 6 oclock position to update the weather, and the 9 oclock position to cycle through the top LCD screen. The battery will change from green to yellow at 66% and red at 15%.